On this day in 1846, Elizabeth Moulton-Barrett married Robert Browning, a move that caused her to be disinherited by her father, wealthy owner of acres of Jamaican sugar plantations, as well as rejected by her brothers. 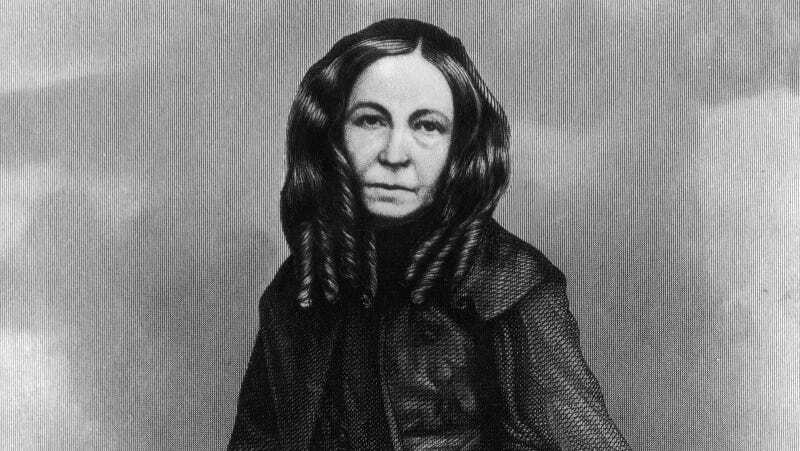 Elizabeth Barrett Browning was one of the most wildly popular poets of the 19th century, and her husband started out as one of her fans. Barrett Browning was born in 1806, and though frail, most mark the beginning of her life as an invalid as 1821, when a doctor prescribed opium for a nervous disorder. Many speculate what her particular health issues were. She reportedly suffered from exhaustion, intense responses to heat and cold, heart palpitations, and an inability to recover quickly or completely from common complaints, like a head cold. Most agree that her use of laudanum likely exacerbated her issues. A mutual friend named John Kenyon arranged for them to meet in May of 1845. The two finally eloped, after being married in St Marylebone Parish Church, London, and went to live in Italy. Under “Condition” on their marriage license, it reads Bachelor and Spinster. They had one child, whom they called Pen, when Elizabeth was 43.